Irish whiskey distilleries are rising up when just a couple of decades ago the whiskey market in Ireland was on its knees and sales were at an all-time low. As of 2015 there are an impressive 26 new whiskey distilleries in Ireland set up with the aim of producing their own version of whiskey. In addition to increasing the size of the drink’s market worldwide, these distilleries aim to provide much-needed jobs and investment in many areas of the country. Things are already looking positive for the industry. Irish Whiskey saw its market share increase dramatically in the five years between 2008 and 2013, and it achieved the fastest rate of growth during this period of any spirit. The industry aims to triple its share of the world’s whiskey market by 2030, which would give it 12% of the total market. There is also focus on exports, with the industry hoping to increase the number of cases exported each year to 24 million from the current 6.5 million, with Irish craft whiskey distilleries helping to reach this figure. For comparison, Scotland currently exports around 90 million cases of whisky around the world every year. The history of Irish whiskey shows it has always under-performed when compared with its more famous Scottish counterpart, but there is optimism for the future. Taking the lead from Scotland’s huge whisky tourism industry, Ireland also hopes to increase related tourism over the next few years. There are currently around 600,000 whiskey tourists each year, but it is hoped this number can be increased to 800,00 within a few years. The 10-year-plan involves increasing employment in the Irish whiskey sector by 30% and increasing production by over 40%. With the huge success of small craft beer breweries in recent years, it would appear there is certainly room for niche brands within the drinks market. 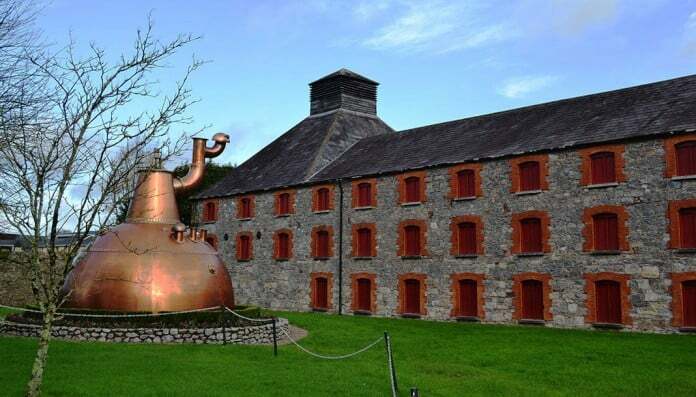 Irish craft distilleries producing a variety of whiskey will be hoping they can take advantage of the current trend for buying from small, independent brands rather than mass-market businesses. In the mid-1980s Ireland’s whiskey accounted for just 1% of exported whiskey worldwide and it was unfashionable, unpopular and appeared to be on its way out. Today, however, Ireland’s whiskey exports are worth in excess of €300m (£212m) annually. A number of specialist craft whiskey distilleries are springing up to put their own stamp on the history of Irish whiskey and help to meet the increased worldwide demand. The Scottish whisky industry has similarly seen massive growth in recent decades, although it has always retained a much larger market share than its Irish equivalent. The history of Ireland’s whiskey shows that this beverage is even older than the much more famous Scottish whisky. The Irish version has been around since 1405, while the Scottish version didn’t appear until nearly 100 years later. Despite this, the Scots have been far more successful with their version over the intervening years and the market is worth nearly £4bn to the UK in trade. Whiskey distilleries in Ireland have looked towards Scotland for inspiration and hope to replicate some of the success of their Celtic neighbours. While acknowledging that there is a long way to go before the whiskey industry of Ireland has anything like the same financial clout as Scottish whisky, the Irish Whiskey Association is striving to increase the size of the sector. Earlier in 2015 the industry body launched its vision for Ireland’s whiskey, aiming to increase the size of the market and record and analyse its growth.